Back in 1999, Campbell decided to buy a Boeing 727 aircraft from Olympic Airways for no small price. He paid 100,000 dollars for it. 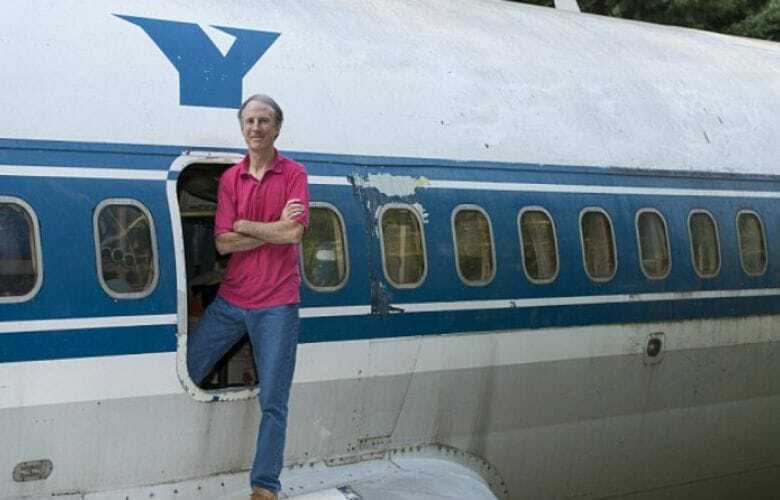 After he’d bought the plane, he needed to get it back to the woods in Oregon. Since the plane had to be imported from Athens, Greece, this turned out to be a bit of an issue. The transport costs eventually mounted to 120,000 dollars, which meant that Bruce basically paid 220,000 dollars for the plane. This didn’t matter to him, though, because to him the plane was worth every single penny. The inside of the plane has everything you might need. 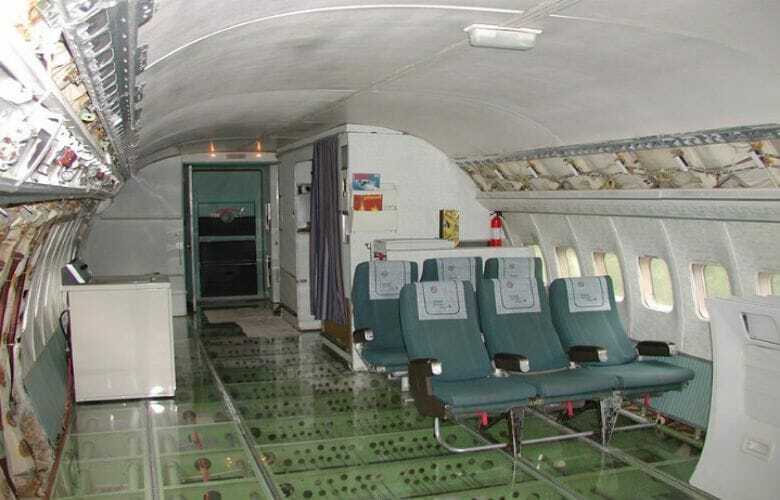 Many of the original elements of the plane have been kept the way they were, like some of the original seats as well as the toilet. 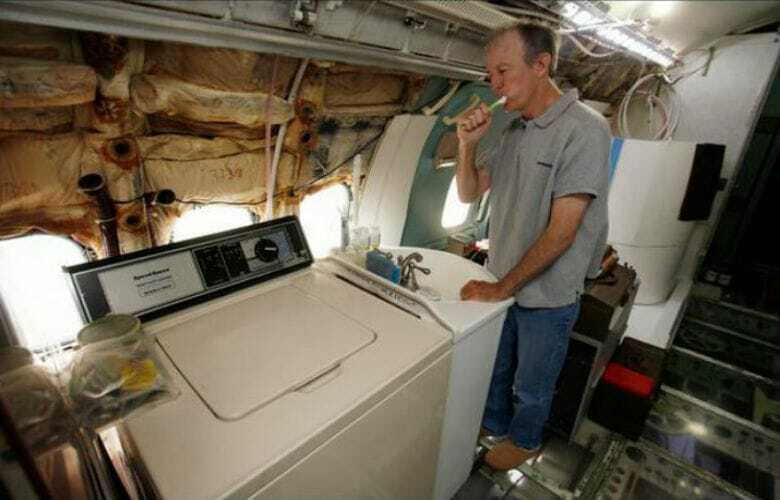 Campbell even added a washing machine and a sink. It gives it all a very interesting look! 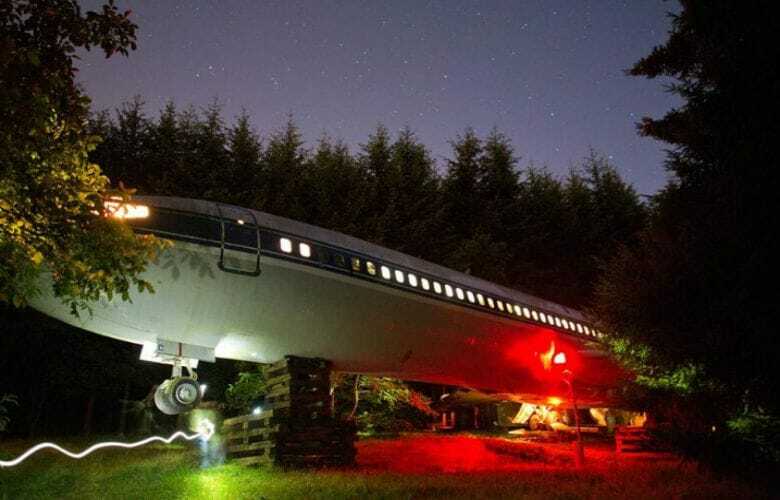 The Boeing 727 offers a lot of space, but Campbell lives pretty modestly in his unusual home. He sleeps on a futon, cooks using a microwave and a toaster, eats mostly cereals and canned food, and builds a lot of improvised equipment himself. We’re not sure if we’d like to live in this plane like Campbell does, but we’re definitely impressed with what he managed to do! Just look at this airplane; doesn’t it look cool? It must feel so good to accomplish something huge like this.